Sixth and last in our set of Draft class Reviews for the 2016 season. First was the 2016 class, then the 2015 class then the 2014 class, then the 2013 class, then the 2012 class. There’s no point going past the 2011 class because anyone prior is already a 6year MLFA. Its barely worth discussing these draftees since all the college-aged players are 6 year MLFAs after this season, but we’ll strive on anyway, especially since one guy in particular has been somewhat of a lightening rod in this space. There used to be 50 rounds; after this draft it went down to 40. And looking at the rounds 40-50 picks, you can understand why there was little need for those additional 10 rounds. There used to be no caps on bonus spending; after this draft, no more massive bonus spending to sign HS prep kids in lower rounds to 1st round money. And because of the new caps and the tracking of limits up to the 10th round, we now see teams often making “throw away” college senior signs in the 6th-10th picks to save on bonus dollars to go over-slot for high profile picks or later draft steals. In 2011, these same guys were getting drafted in the 20th-30th round range instead. 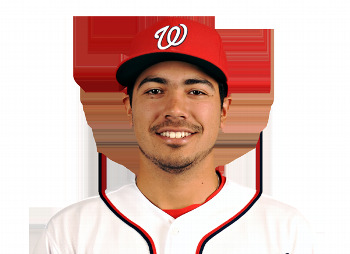 Round 1: (#6 overall) Anthony Rendon, 3B Coll Jr from Rice: Slashed .270/.348/.450 and was a Gold Glove finalist while rebounding to put together a 4-win season for Washington. Had an awful NLDS series, failing badly in the clutch especially in the Game 5 loss. Still is a significant and important player for this team. Has accumulated 11 career bWAR through four seasons/age 26, which isn’t on pace for Hall of Fame levels by any means but is still pretty solid. If he puts together two more years like his 2016, he’ll be inline for a pretty hefty contract. Matriculated to Majors. Round 1 (#23 overall): Alex Meyer, RHP Coll Jr from Kentucky: Traded straight up for Denard Span in Nov 2012. The Twins could never get him productive at the Major league level, so they flipped him in Aug 2016 to the Angels for Hector Santiago. 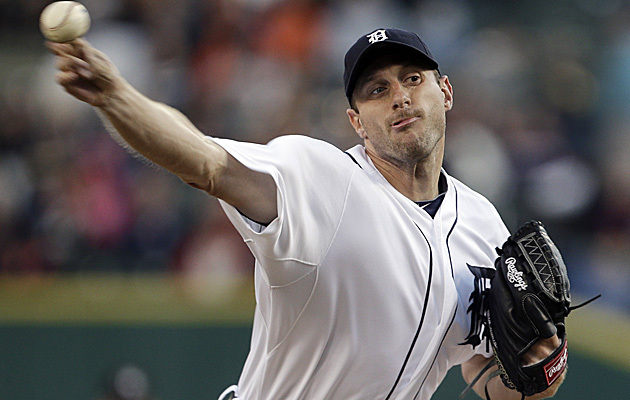 The Angels immediately put him in the rotation; he went 1-2 in five starts with a 4.57 ERA. Likely in their rotation in 2017 since they’re starved for starting pitching. Round 1-S (#34): Brian Goodwin, OF Juco from Miami Dade CC South: Slashed .280/.349/.438 in AAA, earned a call-up to provide some OF coverage and more than held his own in 42 MLB at bats (.286/.318/.429). Goodwin salvaged his career and my opinion of it in 2016; I thought he had peaked as a AA/AAA washout. Now is he a realistic 4th OF candidate? He played mostly CF for Syracuse but mostly corners during his MLB stint (that’s because of course Trea Turner was manning center). We’ve talked a lot about what this team should do at CF; is Goodwin an answer? For 2017 I see him competing with Michael Taylor for the 4th OF spot but not starting; the loser of that competition will head back to AAA or get traded. Writing this analysis made me immediately update my “Options Worksheet” to see if Goodwin was in trouble there: he still has one option remaining (as does Taylor), meaning no mandatory 4/1/17 decisions on either guy. Matriculated to Majors but may also be a “peaked at AAA” type. 2017 will be illustrative. Round 2: Pick given to Philadelphia as compensation for Jayson Werth signing. The Phillies used the pick to take a HS SS out of Florida named Roman Quinn. Quinn matriculated to the majors this year, giving Philly 57 ABs and hitting .263 along the way. Round 3: Matthew Purke, LHP draft eligible sophomore from TCU: Released/elected Free Agency 11/5/15 after being released and then re-signing in Nov 2014 in a pre-arranged deal to get him off the 40-man. 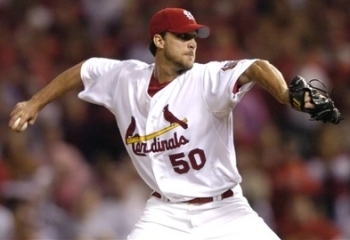 He signed with the White Sox, and immediately did for them what he never could do for us: pitch well above A-Ball. They assigned him to AAA, where he posted a 3.26 ERA and then they called him up to the majors. For the MLB club he struggled (5.50 ERA in 20 innings with an awful K/BB ratio), but the bigger question maybe why he didn’t perform like this for his drafting team. Is this a failure of player development? Why couldn’t this team get value out of this big-bonus pick like the White Sox did? Mid Dec 2016 update, just prior to publishing: Purke was DFA’d by the White Sox to make way for all their new acquisitions; i’m guessing he’ll pick up with another pitching-starved team though and at least start 2017 in AAA. Round 5: Matt Skole, 3B Coll Jr. from Georgia Tech: Slashed .244/.337/.437 in a full season at AAA. 119/66 K/BB, 24 homers, 2 SB in 499 ABs. We definitely have some Skole fans in this space, and we’ve litigated his position enough. That slash line actually represents a regression from his 2015 partial season in AAA, even with the rise in homers. The team did not bother to add him at the 9/1 expansion date even with Clint Robinson hitting at the Mendoza line, as good of an indication as any that Skole has peaked at AAA. He’s playing winter ball in an attempt to showcase his skills; he’s hitting .236 through 89 ABs as of the time of this writing on 11/10/16, dampening his MLFA prospects a bit. Post-Writing Update: the Nats did put Skole on the 40-man in Nov 2016 … so perhaps he has not yet peaked. They wouldn’t have put him on unless they wanted him to potentially compete for a 25-man spot, so we’ll see what happens in 2017. Round 6: Taylor Hill, RHP Coll Sr from Vanderbilt. 6-13 with a 4.60 ERA in a full season starting for Syracuse. 97/38 K/BB in 154 IP. He was outrighted off the 40-man and passed completely through waivers, an indictment of his career chances at this point. Peaked at AAA. Round 7: Brian Dupra, RHP Coll Sr from Notre Dame: Released on 3/16/16 after (presumably) failing to make the AA bullpen. He just never succeeded above High-A and was an easy release candidate heading into 2016. Round 8: Gregory Holt, RHP Coll Sr from UNC: Released 3/20/14. Round 9: Dixon Anderson, RHP Coll Jr. from UC-Berkeley: Retired 5/14/14. Round 10: Manny Rodriguez, RHP Coll Sr. from Barry (FL): Released 9/28/15. Round 11: Caleb Ramsey, OF Coll Sr from U of Houston: slashed .265/.320/.361 in a full-season playing RF for AAA Syracuse. He was never on anyone’s radar to get a call-up in 2016 but soldiers on. Peaked at AAA. Round 12: Blake Monar, LHP Coll Jr from Indiana: released 3/20/13. Round 13: Casey Kalenkosky 1B Coll Jr From Texas State: did not sign, returned to Texas State for senior season. Drafted in the 30th round in 2012 by Atlanta, lasted two years and released/retired. Round 14: Cody Stubbs: LF Juco from Walters State CC (TN): did not sign, transferred to UNC and was drafted in the 8th round of 2013 by Kansas City. Retired in July 2015. Round 15: Zachary Houchins, SS Juco from Louisberg College (NC): did not sign, transferred to ECU, drafted in the 13th round of 2014 by Los Angeles Angels. Hit .262 in High-A in 2016. Round 16: Deion Williams, SS from Redan HS (GA): Released 3/26/16 after struggling with the conversion to the mound. No surprise here; he had a career ERA of 6.12. Round 17: Esteban Guzman, RHP Coll Jr from San Jose State University: did not sign, returned to SJSU for his senior year and was never drafted again and, as far as I can tell, never played professionally. Round 18: Nick Lee, LHP Juco from Weatherford (TX): 3-1 with a 4.32 ERA in 50 relief innings in AA. 55/42 K/BB. Lee was outrighted off the 40-man in July of this year and passed completely through waivers. His wildness just has not been harnessed, and its tough to see a path forwards for him. 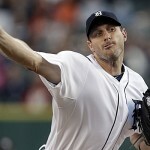 He has one more season in our system to try to turn it around; we definitely have needs for additional lefty relievers. But for us so far, he Peaked at AA. Round 19: Hawtin Buchanan, RHP from Biloxi (Miss.) HS; did not sign, honored commitment to Ole Mis/Mississippi. Drafted in the 20th round in 2014 by Seattle and put up a 4.14 ERA in low-A in 2015. Was released, missed all of 2016 but then was recently picked up by Cincinnati on a MLFA contract. Round 20: Josh Laxer, RHP from Madison (Miss.) Central HS: did not sign, also honored commitment to Ole Mis/Mississippi. Laxer pitched well in Short-A in 2014 but missed all of 2015 with an injury. Released mid-2016. Round 21: Todd Simko, LHP Coll Jr. from Texas A&M-Corpus Christi: retired 7/12/13. Round 22: Travis Henke RHP Coll Sr from Arkansas-Little Rock: released on 1/6/14. Round 23: Khayyan Norfork 2B Coll Sr from Tennessee: slashed .218/.313/.256 splitting time between High-A and AA. Norfork’s role as a backup middle infielder for the lower rungs of the farm system may have come to an end. Peaked at High-A/AA. Round 24: Kyle Ottoson LHP Coll Jr from Arizona State: did not sign, returned for senior season and was drafted by San Diego in the 34th round in 2012. Pitched one season of short-A ball and was released. Round 25: Erick Fernandez C Coll Sr from Georgetown: Released on 7/23/13. Round 26: Shawn Pleffner OF Coll Jr from Univ. of Tampa: slashed .262/.332/.352 while repeating AA Harrisburg. His 2016 AA numbers were nearly identical to his 2015 AA numbers; there’s just no room for a non-homer hitting 1B in the modern game. Peaked at AA. Round 27: Bobby Lucas LHP Coll Sr. from George Washington: released sometime in 2013 . 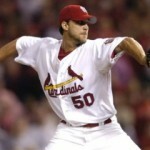 Round 28: Kenneth Ferrer RHP Coll Sr. from Elon University: Released or retired prior to the 2012 season. Round 29: Sean Cotten C Coll Sr. Tusculum College: did not sign, or if he did he never appeared or played. Round 30: Bryan Harper LHP Coll Jr from South Carolina: 3-2 with a 2.18 ERA splitting time (again) between AA and AAA. Odd that he never got a shot, especially when the team got squeezed on lefty relievers and had to flip a decent prospect to acquire 5 weeks of Marc Rzepczynski at the end of 2016. Especially odd considering the relationship that Harper has with the team. I wonder if the team will lobby him to stay in the system. For now, Peaked at AAA. Post-writing update: Harper just went under the knife for Tommy John surgery, probably the reason he didn’t get called up. He also wasn’t protected from Rule-5 as a result; his career goes on hiatus at a tough time but I’m guessing the Nats stick with him. And why wouldn’t they? His brother is here for two more years so I’m guessing so is Bryan. Round 31: Josh Tobias SS from Southeast Guilford HS (NC); did not sign, honored his commitment to Florida where he played four years and was drafted in the 20th round of 2015 by Philadelphia. Hit .291 while moving from low- to high-A ball in 2016. Round 32: Billy Burns OF Coll Jr. from Mercer Univ. (GA): traded in Dec 2013 straight up for Jerry Blevins. After a nice 2015 season (he finished 5th in Rookie of the Year voting), Burns struggled in 2016, getting traded to Kansas City and struggling for playing time. Round 33: Trey Karlen 2B Coll Sr from Univ. of Tennessee-Martin: Released on 6/17/13. Round 34: Calvin Drummond RHP Coll Jr. Univ. of San Diego (CA): did not sign, returned to U San Diego for his senior year. Looking up Drummond’s draft and collegiate history is interesting. Per his baseballcube and baseball-reference pages, Drummond was drafted no less than four times; once out of HS, once as a draft-eligible sophomore (when the Nats drafted him in 2011), then again as a junior and again as a senior. 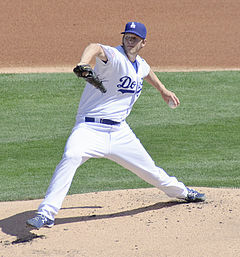 But the odd part is his history: he went to Orange Coast Juco, then transferred to San Diego where he red-shirted, pitched two decent years as a starter, then transferred again to the baseball powerhouse Arizona Christian University, where he pitched his senior year and was drafted in the 6th round by Detroit. In 2016, he split time between High-A and AA. Round 35: Alex Kreis RHP Coll Sr Jamestown College (ND): Released or retired after the 2012 season. Round 36: Ben Hawkins LHP Coll Jr from Univ. of West Florida: Released in mid-2013. Round 37: Derrick Bleeker RHP Juco frm Howard College (TX): did not sign, transferred to the U of Arkansas and was drafted in the same 37th round the following year by Baltimore. He struggled for Baltimore’s low-A affiliate in 2015 and retired in March 2016. Round 38: Brett Mooneyham LHP Coll Jr from Stanford Univ. (CA): did not sign, stayed at Stanford for his Senior year and then the Nats picked him in the 3rd round of 2012. See the 2012 post for more. Round 39: Peter Verdin OF, Coll Jr from Univ. of Georgia: did not sign, returned to U Georgia for his senior year. Was undrafted and went unsigned after his senior season. Smells like a “favor pick,” as he was a local kid: hails from Alexandria, went to Paul VI HS in Fairfax. Round 40: Stephen Collum OF from Cartersville HS (GA); did not sign, presumably (per baseballcube) went to Cleveland State Community College but has no college stats and was never again drafted. Round 41: Bryce Ortega 3B Coll Sr. from Univ. of Arizona: had a decent season in 2012 for Hagerstown then either was released or retired. Round 42: David Kerian SS from Bishop Heelan HS (IA): did not sign, honored his commitment to U of Illinois. Signed by the Nats as a 9th round senior sign in 2015; see the 2015 post for more. 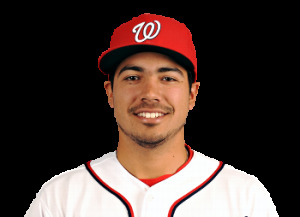 Round 43: Mitchell Morales SS from Wellington Community HS; did not sign, went to Florida Atlantic University and was drafted 3 years later in 2014 by San Diego in the 29th round. Struggled in lower A leagues in 2015. Round 44: Matt Snyder 1B Coll Jr Univ. of Mississippi: did not sign, returned to Ole Miss for his senior year and was a 10th round pick the following year by New York Yankees. Hit .371 for High-A this year to push his way to AA. Round 45: Richie Mirowski RHP Coll Sr. from Oklahoma Baptist Univ: Released on 3/19/15. Round 46: Tyler Thompson OF Coll JR from Univ. of Florida: did not sign, returned to Florida for his senior year. Got hurt (presumably) and was not drafted after 2012 and never played professionally. Round 47: Timothy Montgomery LHP from Rockmart HS (GA): did not sign, took a year off, played one year at Berry College and was out of the game. Round 48: Michael Bisenius OF Coll Jr from Wayne State College (NE): did not sign, returned to college for his senior year, never again drafted. Played on year with the Sioux City Explorers in the American Association. Round 49: Hunter Cole OF from Dorman HS (SC), did not sign, honored his commitment to the U of Georgia. 26th round pick in 2014 by San Francisco. Hit .271 in a full season for AA Richmond in 2016. Round 50: Anthony Nix OF Coll Sr from Univ. of California-Riverside: Released in Jan 2013. Well, now you know why we don’t need 50 rounds anymore. Of the original 51 total picks (three 1st rounders and a lost 2nd rounder total 51 total guys in this class), fully 21 didn’t even sign. That’s more than 40% of the draftees. The “success” list is light; Rendon is obviously a win, but not one other player out of this draft is looking like a solid major leaguer right now. Three of them are doing it for other teams; if Goodwin turns into a valuable piece that makes this draft look a bit better.